But right now is the most opportune time in history for a small business to build their brand with creative, compelling, cost-efficient advertising. The internet and mobile devices have provided consumers with access to information on a scale never seen before. Companies that invest in technology, content, and advertising to reach this exponentially growing audience will likely succeed the fastest. Small business owners who practice these 4 Ways to Win at Small Business Marketing can gain a competitive advantage by crafting a unique message, making informed purchasing decisions, and utilizing today’s technology before, or better than, the competition. Consumers judge a book by its cover. Your company’s website, print media and branded products are often the first, and sometimes only, an opportunity to convey a high-perceived value for your brand. Having an aesthetically pleasing print ad, pleasant user-experience on the web, thoughtful, unique promotional products and professional presentation is the quickest way to winning their trust, admiration or consideration. 80% of decision-makers prefer information on products and services in a series of articles versus an advertisement. They don’t want to be sold – they want to be educated. Communicating creatively means you stop selling and start serving your audience with beneficial content and intelligent messaging paired with eye-catching, thought-provoking, and emotionally engaging design. 89% of consumers use search engines for purchase decisions. Yet only 45% of small businesses have a website. The “lost opportunity cost” for not having a search-engine optimized or mobile-friendly website increases every day as more and more consumers become familiar not only with searching for products and services online but purchasing them directly from mobile devices. 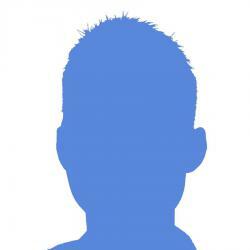 I suspect fear of the unknown keeps many small business owners from engaging in online advertising campaigns or becoming one of the 40 million active small business pages on Facebook. The time investment and budget management for SEO/SEM and complexity of PPC can be daunting. Is it more cost-effective for you to outsource managing your web presence? 50% of small businesses spend less than $300 per month on online advertising. Advertising is often looked at as an expense, rather than an investment. With limited time and capital to invest, small business owners are often torn between daily operations and making payroll; researching keywords and learning a content management platform is not on their priority list. Investing intelligently may mean hiring a digitally proficient employee to manage your online presence, or a marketing professional to enhance it. It may also mean creating a Kickstarter campaign to generate capital and build awareness at little to no cost or securing a small business loan. Hiring a dishonest search engine optimization service provider, usually the ones that “guarantee getting you on the first page of Google results” in your e-mail box, can have a devastating effect on your company’s web presence. If a deal is too good to be true, it usually is. Finding a reputable and experienced marketing professional will save you the time and money a bad experience will cost you. Invest, and delegate, intelligently. Knowing how and where to reach those most likely to purchase your products and services, and understanding the problems your company needs to solve for each segment of that audience, is key. While the investment for optimized mailing lists, printing, and mail processing were considerable in the past, EDDM mailing, online advertising, and e-mail marketing have lowered the cost of entry and cost-per-acquisition considerably. Advancements in technology, reduction in print costs and competition in the digital market have made tactical targeting easier and more effective than ever before. Utilizing variable data printing, different postcard designs for different segments, and industry-specific landing pages to personalize the experience are all effective and affordable tactics to increase open, response and conversion rates. 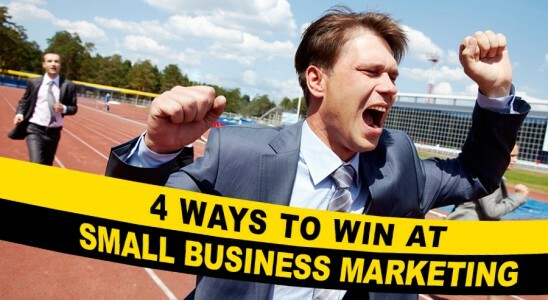 Need more than 4 ways to win at small business marketing? Contact Jason McSweeney, Marketing Mastermind and lead content curator here at dream ink.